This Vintage Mead Ranger is a tall frame Motorbike Bike built by Arnold Schwinn in the late 1920s or early 1930s. 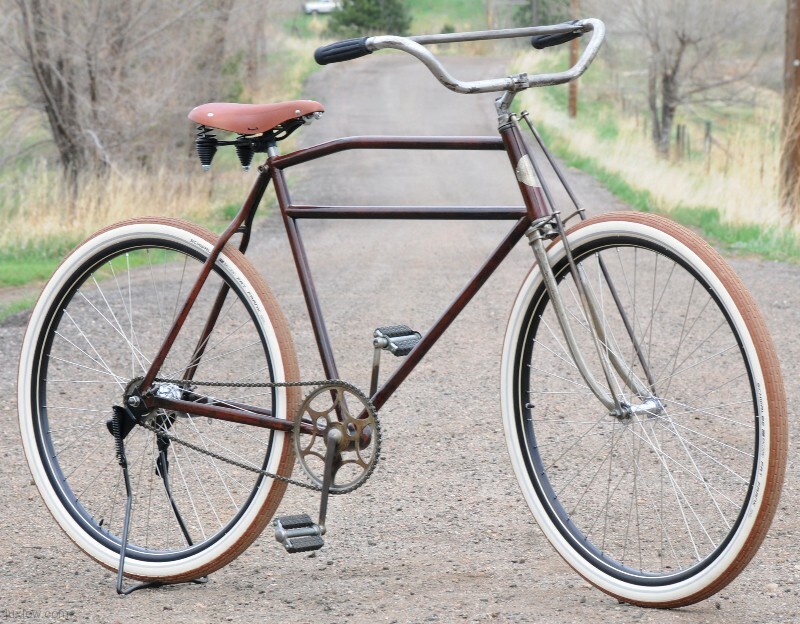 This Cool Extra large Bicycle originally came with wood wheels and single tubes, but has our New Lux Low Built 28″ wheels and Schwalbe tires. 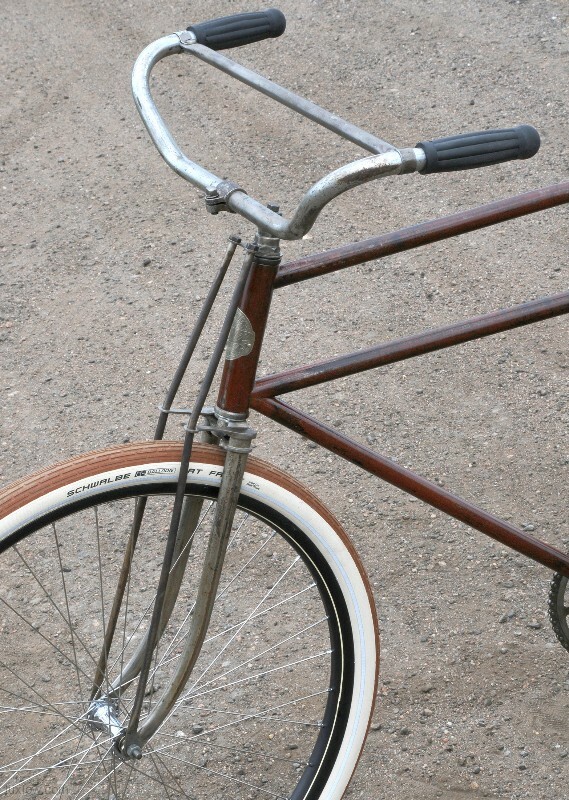 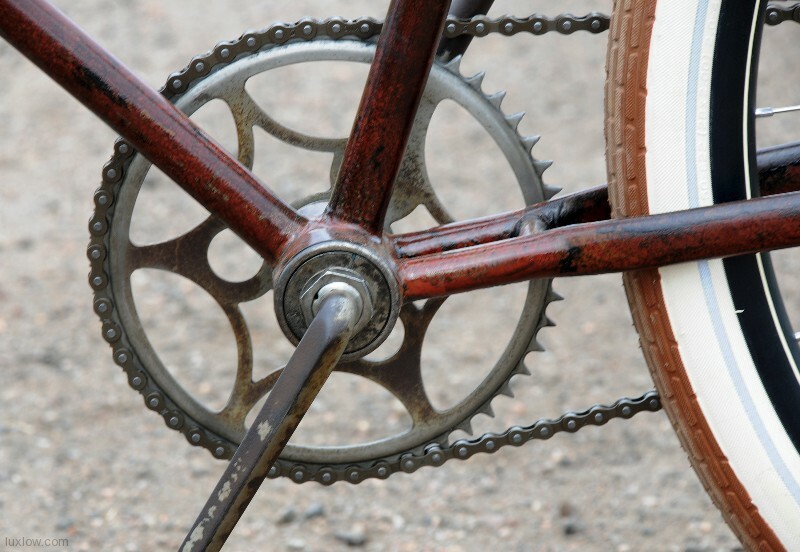 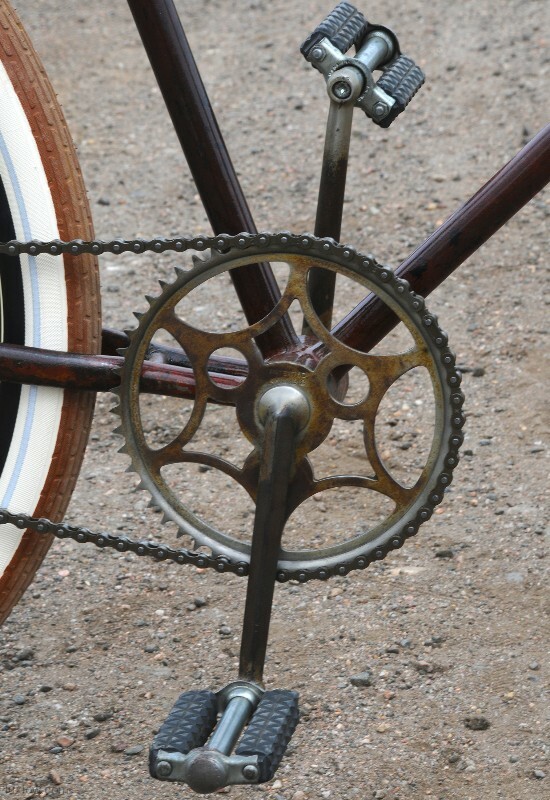 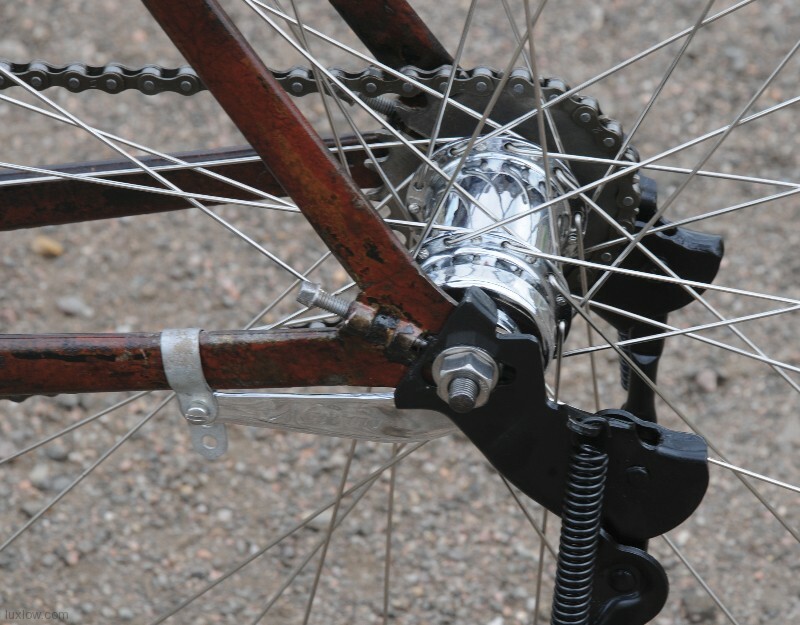 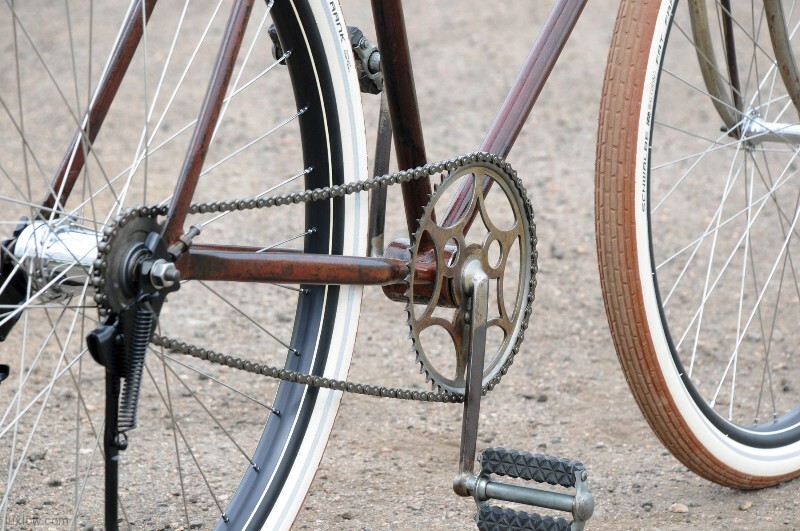 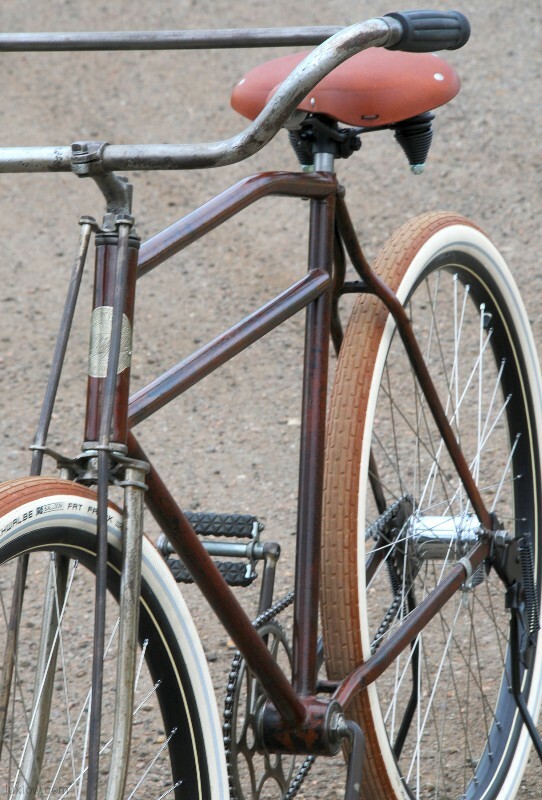 This Bike is a Great Patina restored Wood Wheel era Bicycle and with the New Wheels that Rides like a Dream. 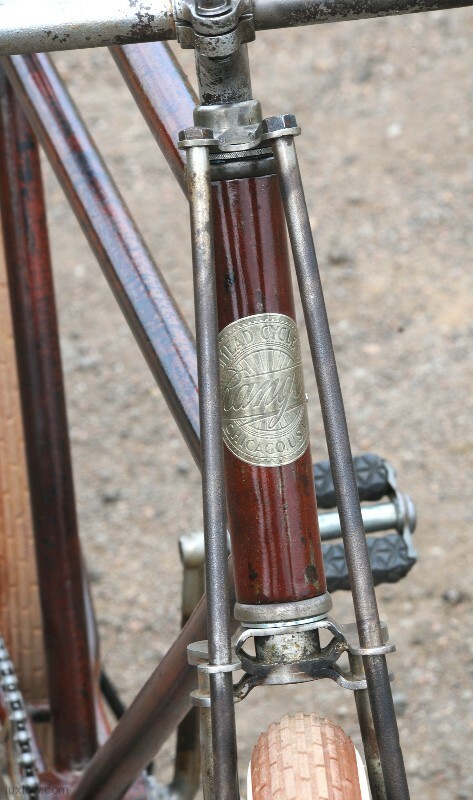 The Heart of this Mead Ranger is a Schwinn Built Tall Motorbike Frame. 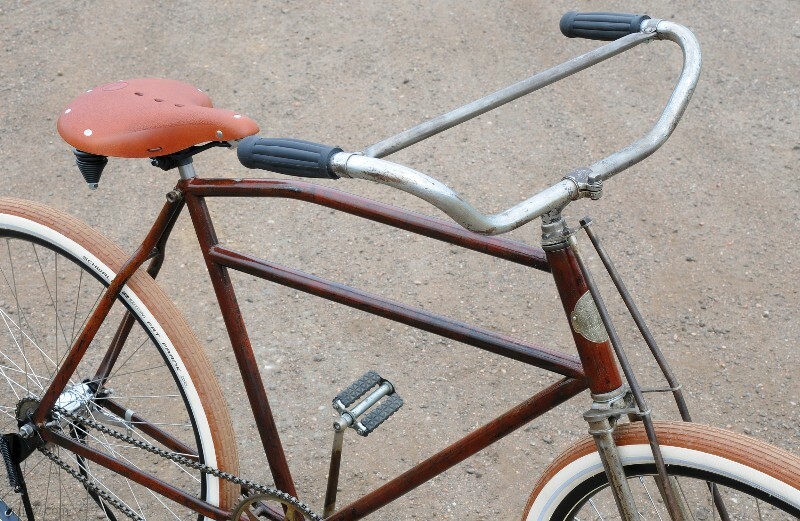 This uncommon oversized frame is best suited for the taller rider and with the addition of the 28″ Lux Low Wheels you will find this bike to be one of the smoothest and easiest riding vintage bikes around. 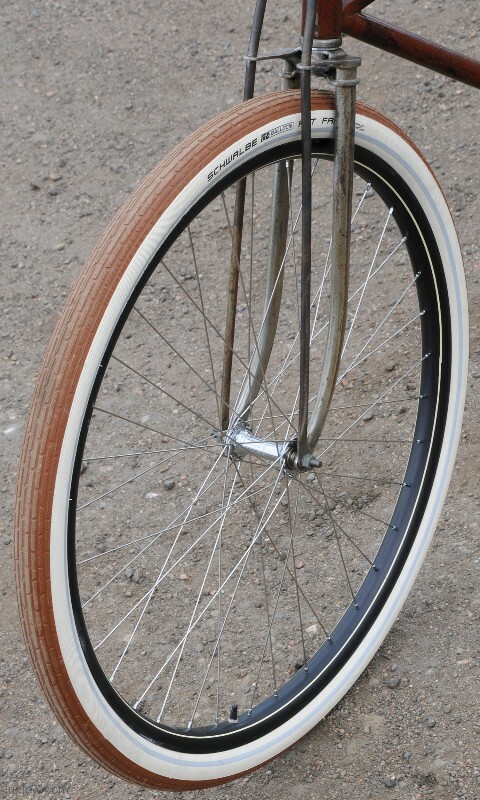 The Wheels are the Lux Low Black Velocity Blunt 35 29er Rims that are laced with Wheelsmith Double Butted Spokes to a Sweet New Departure W front hub and rear Morrow Coaster Brake. 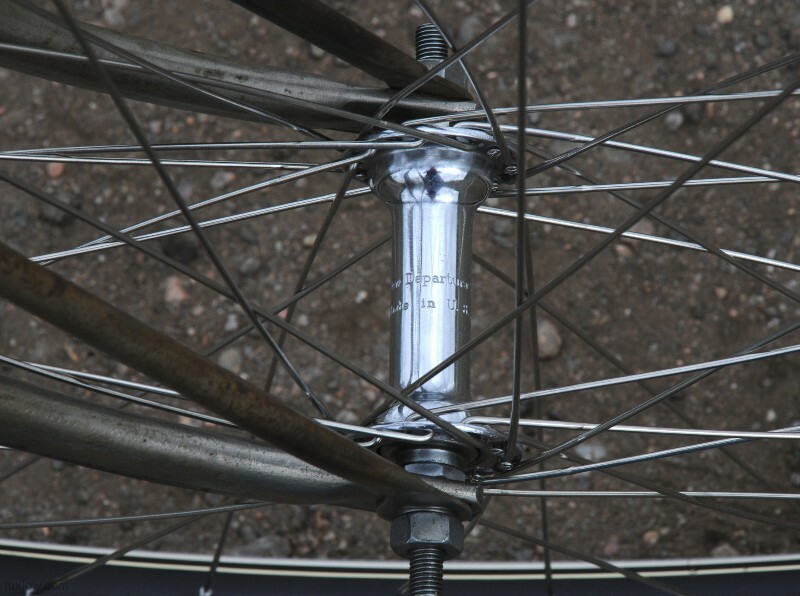 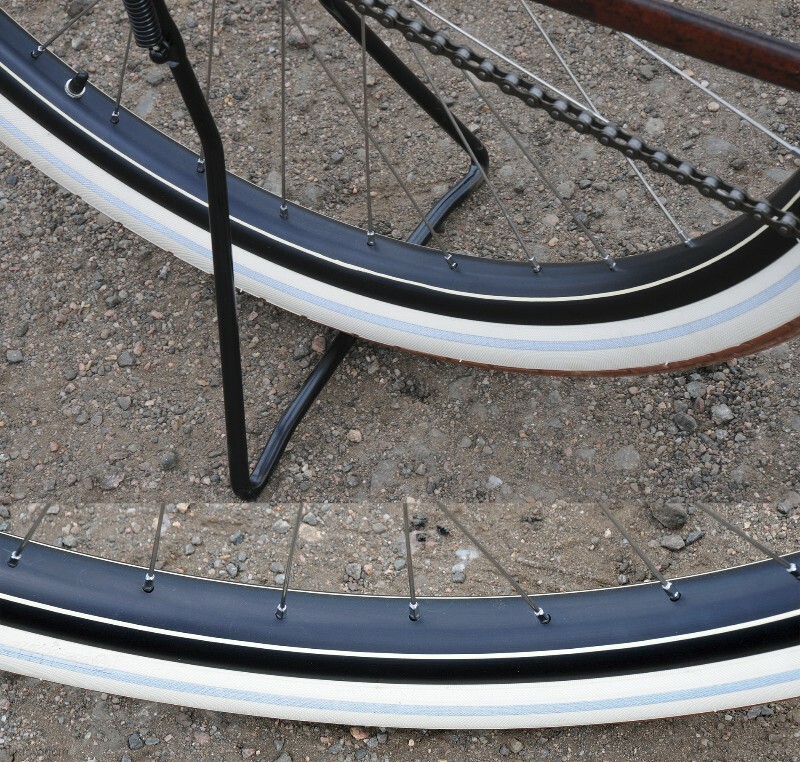 The 28″x 2″ Schwalbe Fat Frank tires offer a Great Technically advanced tire with a stylish retro look. 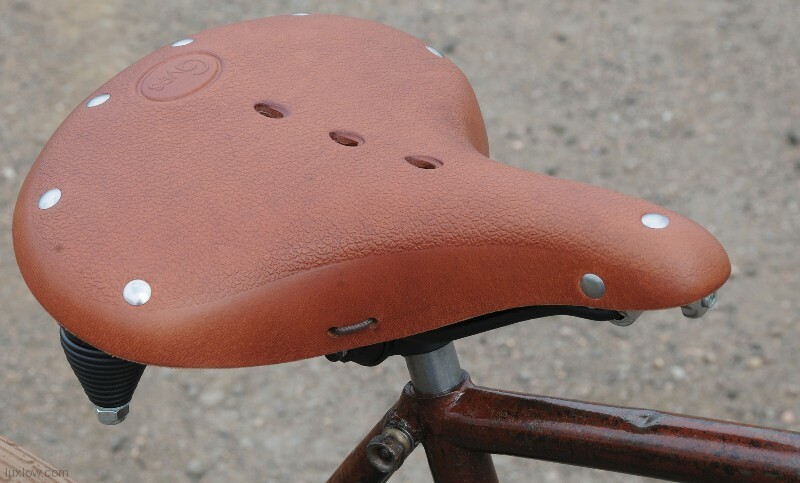 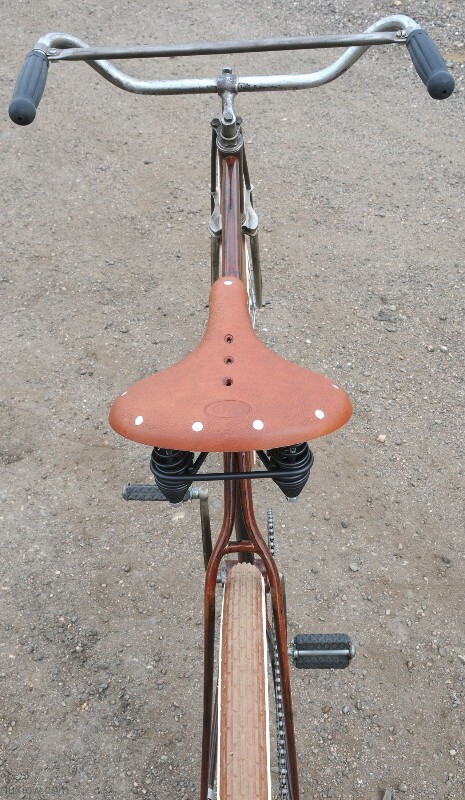 The Seat is a Gyes Genuine Leather Cruiser Saddle and the Drop Stand is a Reproduction, both offering Generous Style and Performance. 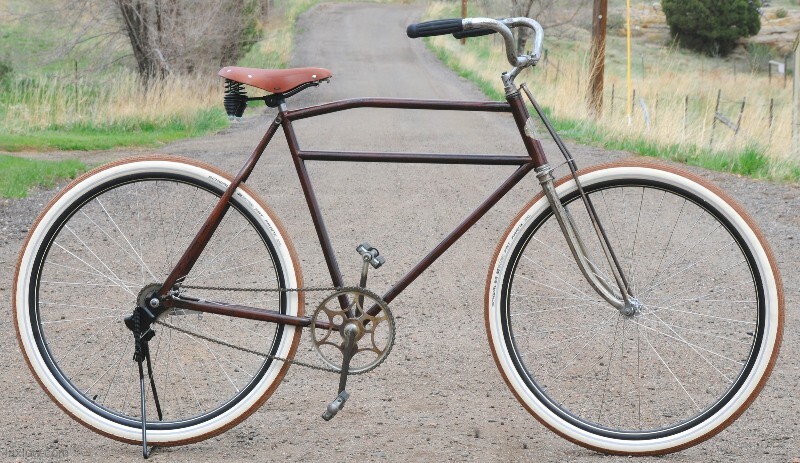 Aside from the Lux Low Retro Stylish Performance Up grades the bike is Original Mead Ranger Parts and Quality. 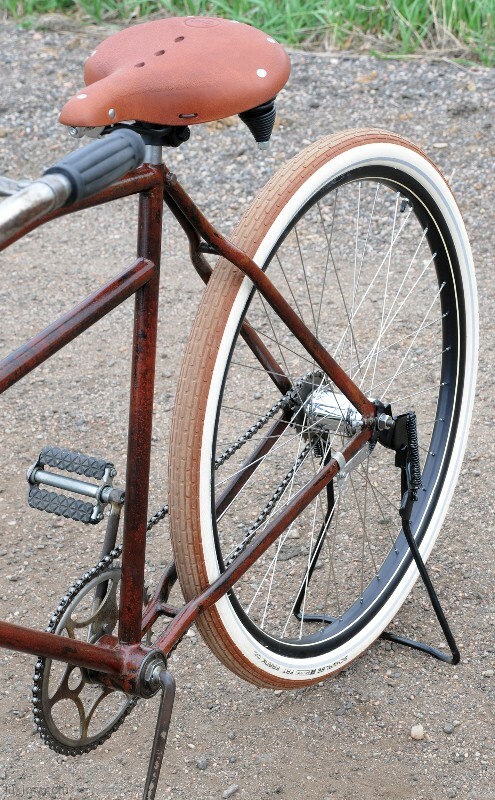 Typically Wood wheel Bikes are more for show and now we offer ones more for Go. 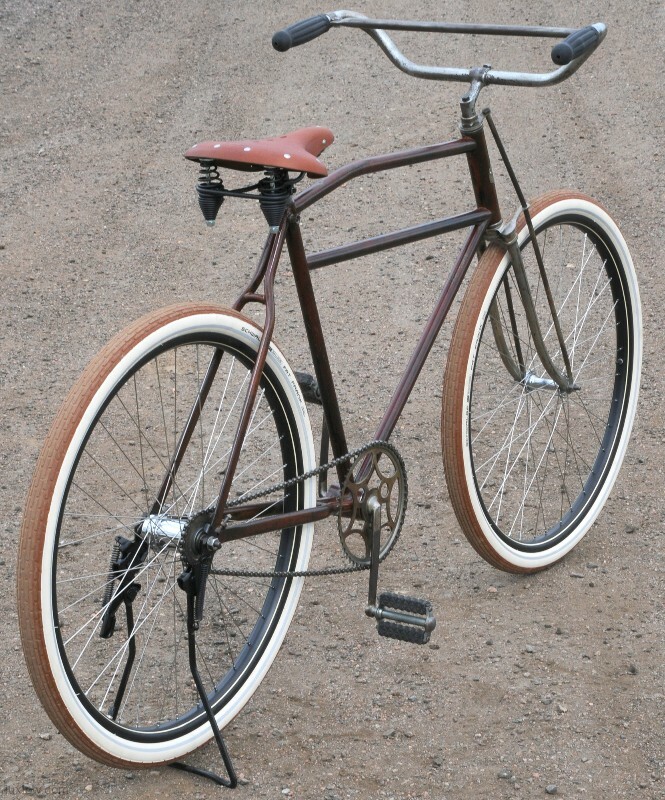 This Bike is one of my first picks when I go riding, or at least till it’s your first pick. 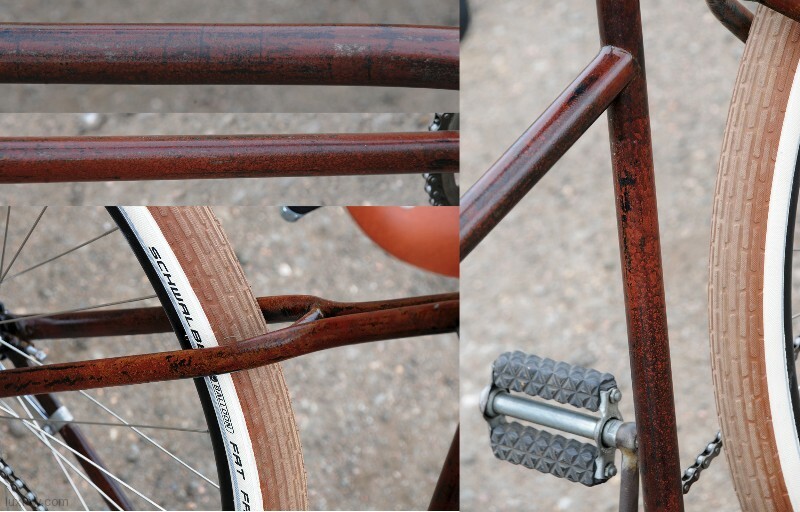 This Amazing Bicycle is Rebuilt, Cleaned, and Sealed. 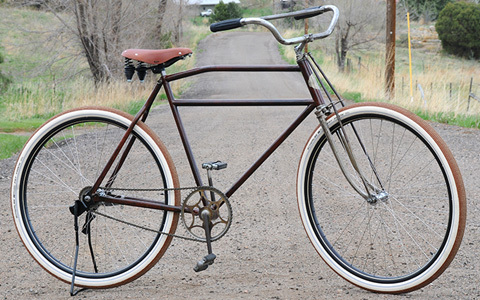 This Bicycle would Be Perfect For a Collection or to Ride Daily. 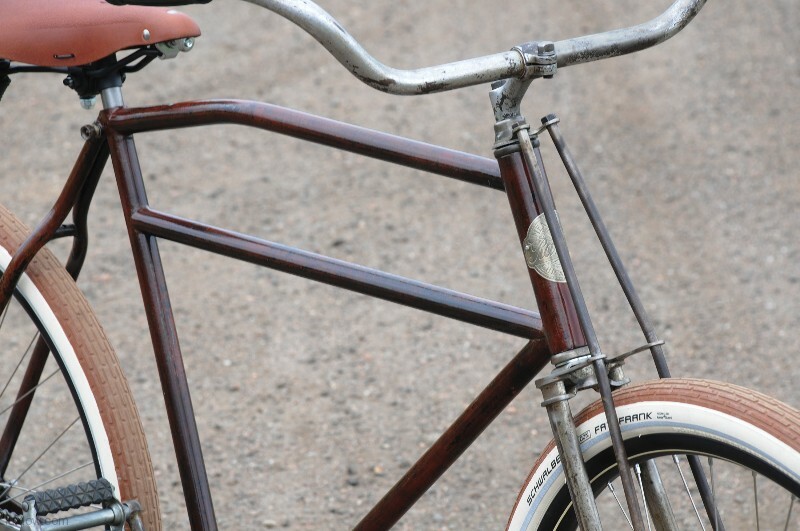 Click here for Details of the Lux Low Vintage Patina Restoration Process on this Bike.